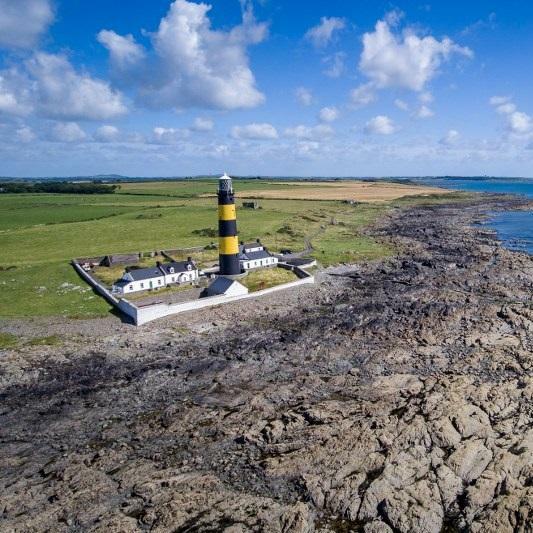 JP Ketch is one of two properties (the other is JP Sloop) next to St John’s Point lighthouse in a beautifully rugged spot near to Killough in County Down. 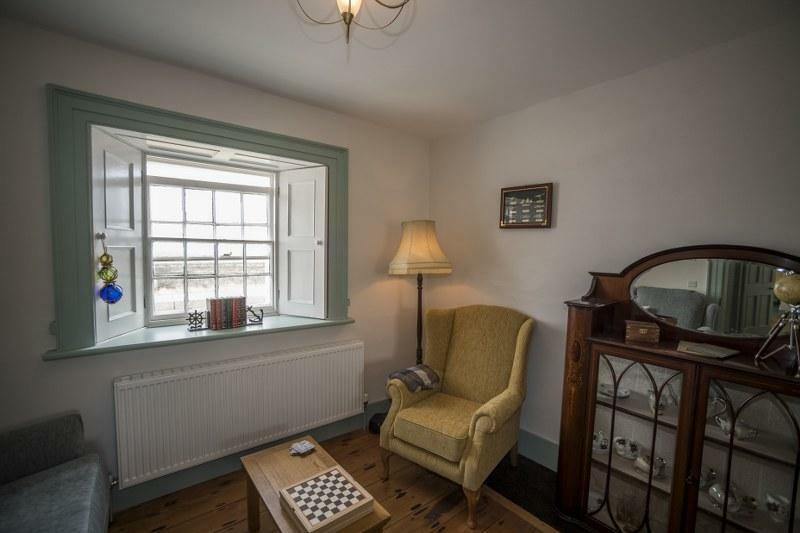 Originally built as a lightkeeper’s cottage you’ll have a prime view of the striking yellow and black lighthouse structure from this lovingly renovated property. 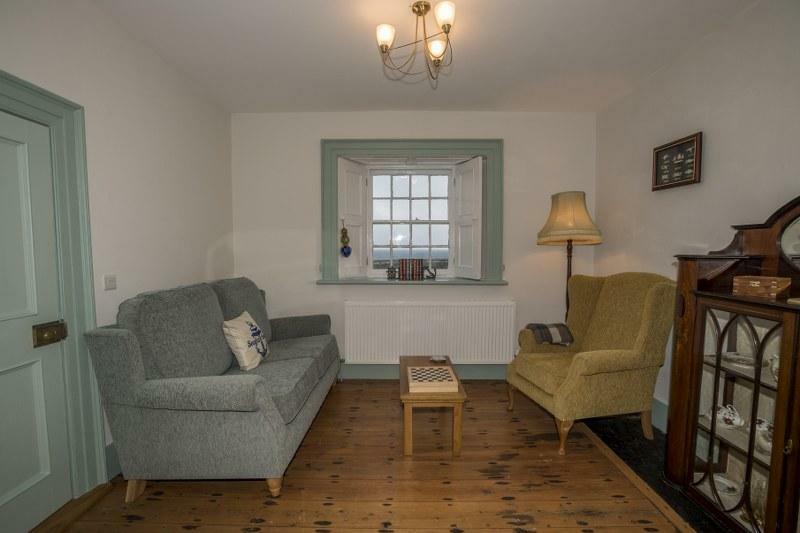 The cottage is light and bright with white walls and accents of green throughout. 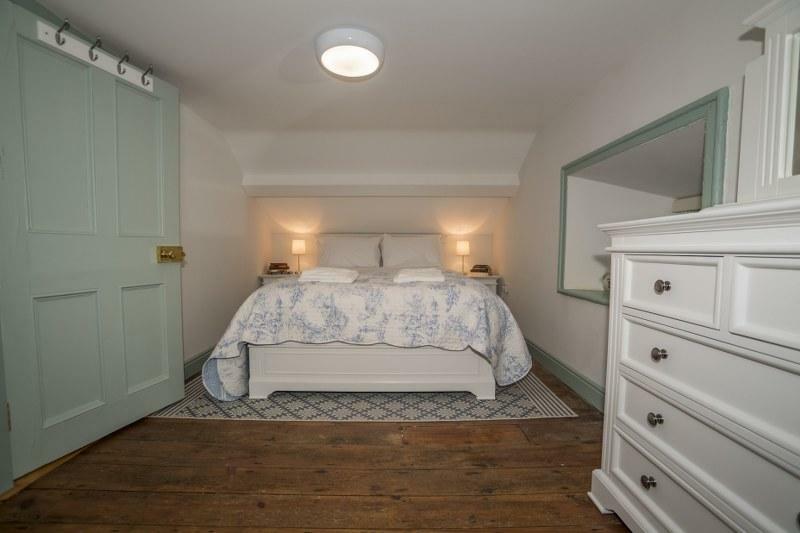 It’s also comfy, cosy and full of character. 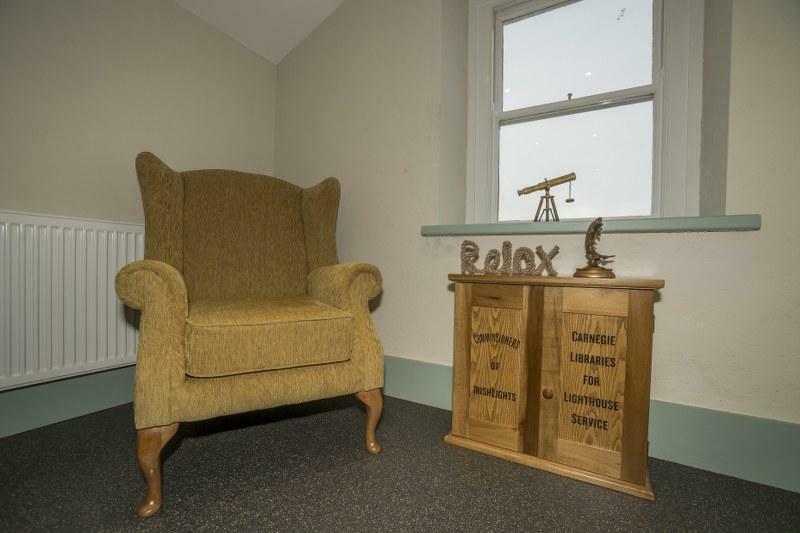 You’ll just want to sink into an armchair, start a good book and enjoy the best view around. 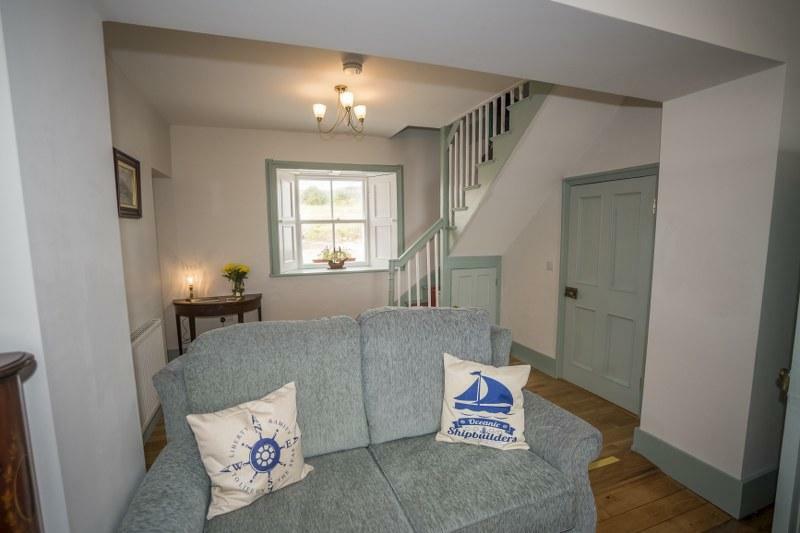 Splashes of blues throughout give JP Ketch a nautical theme and remind you of your position beside the sea. 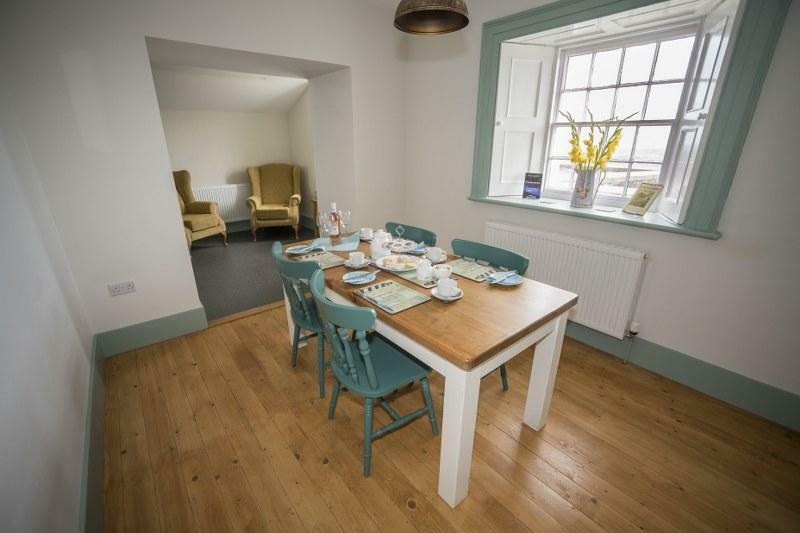 This detached property is all on one level and has a charming dining area (with painted wooden table and four chairs). 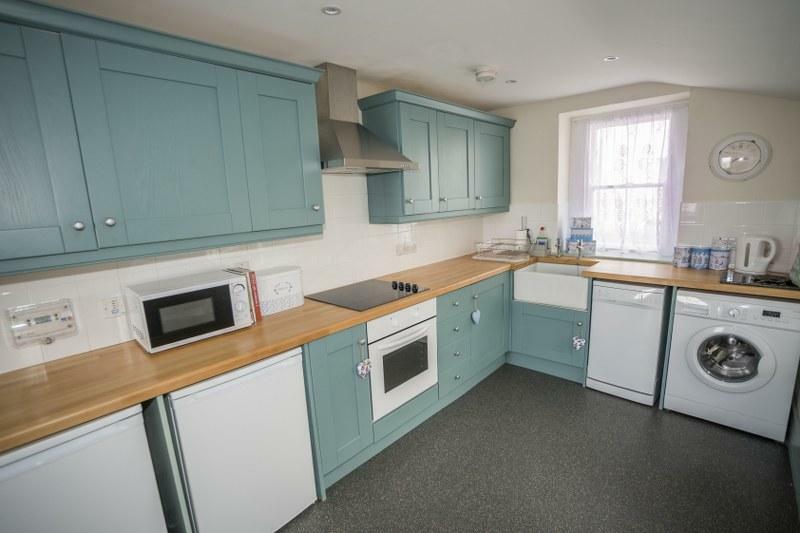 The spacious kitchen has plenty of workspace to rustle up something delicious and you’ll find with oven, fridge freezer, washing machine and dishwasher all included. 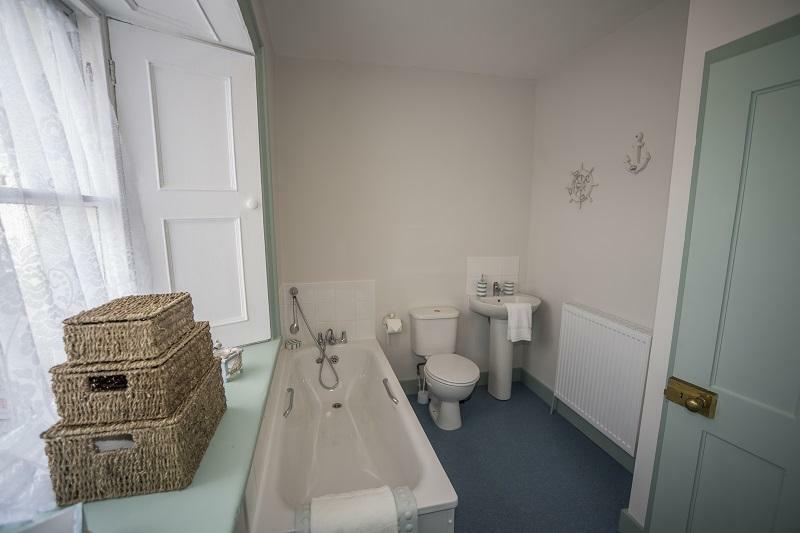 It’s right on the beach and if you fancy making the most of the waves there is even a separate wet room where you can shower off and store your wet suit or diving equipment. 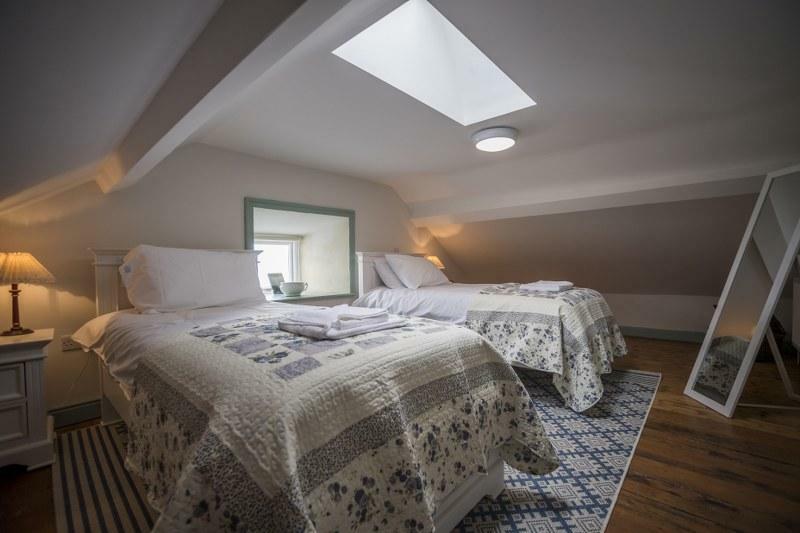 There are two good-sized bedrooms at JP Ketch (one double and one twin) and a family bathroom with bath and shower attachment. JP Ketch is in the perfect spot for getting away from it all and enjoying some peace and quiet. 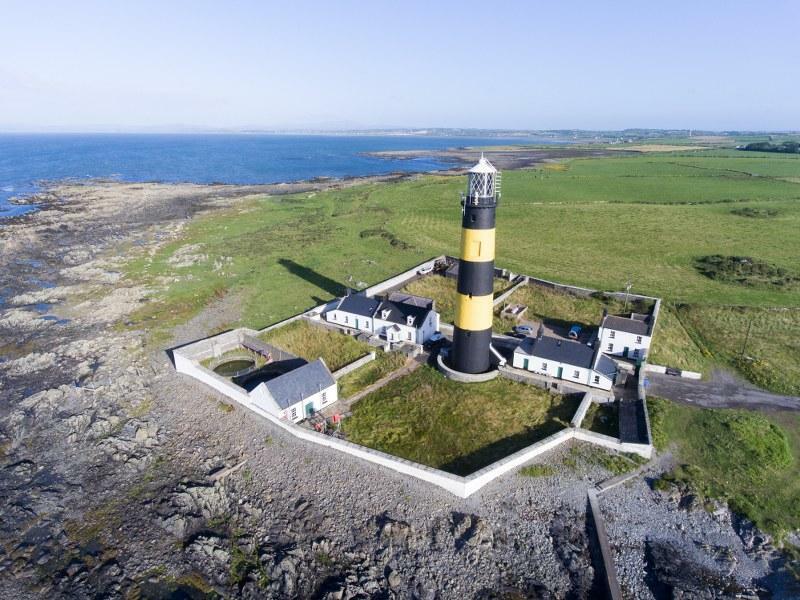 The lighthouse still plays an important point in maritime safety from its position on the cliffs of Killough. 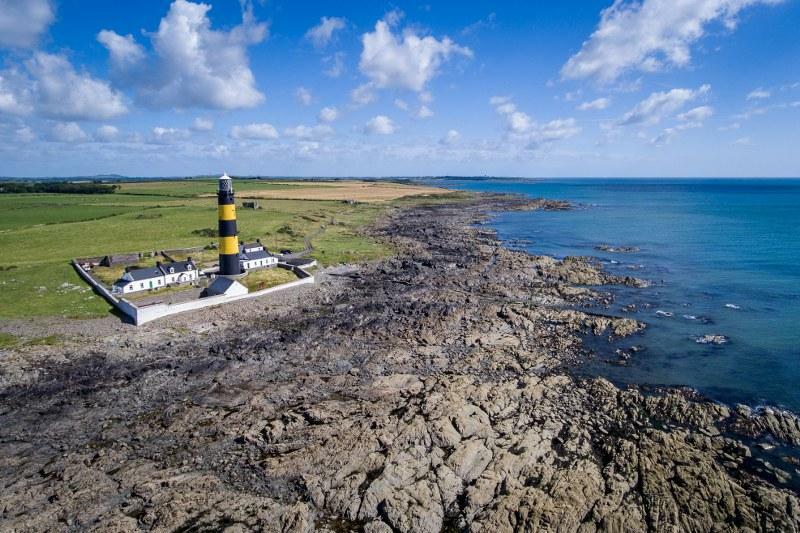 Rugged, remote and beautiful are all words you can use to describe the location which makes it great choice for walkers looking to explore this stunning part of the world. 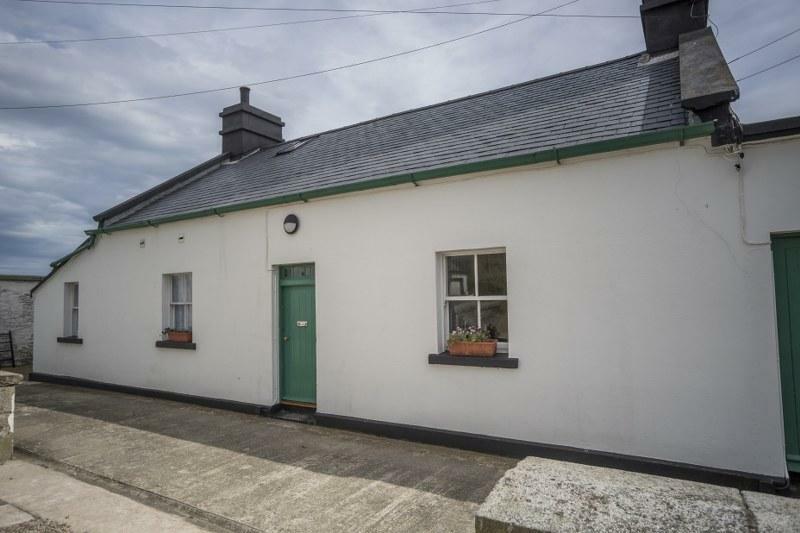 If you do fancy re-joining civilisation the nearest small village is Killough with a choice of several pubs and a shop. 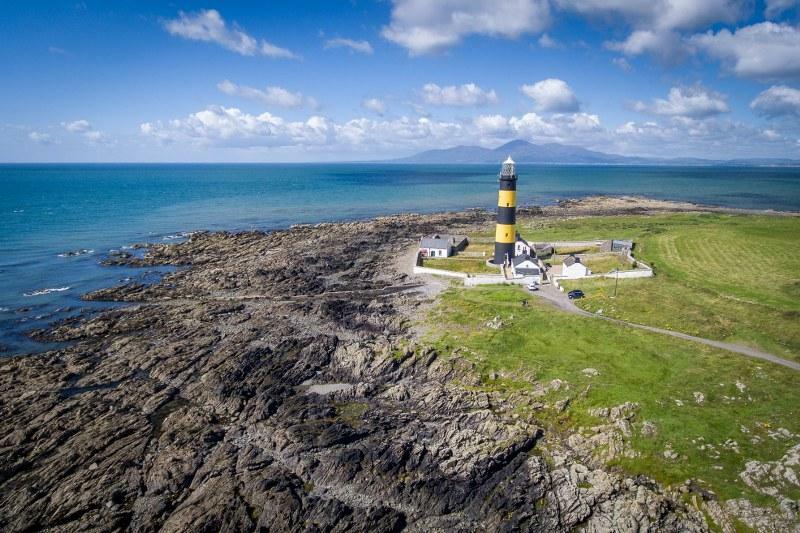 Travel a few miles further and you’ll reach the larger coastal village of Ardglass, which is home to a nice marina, several ancient castles and a stunning 18-hole golf course. 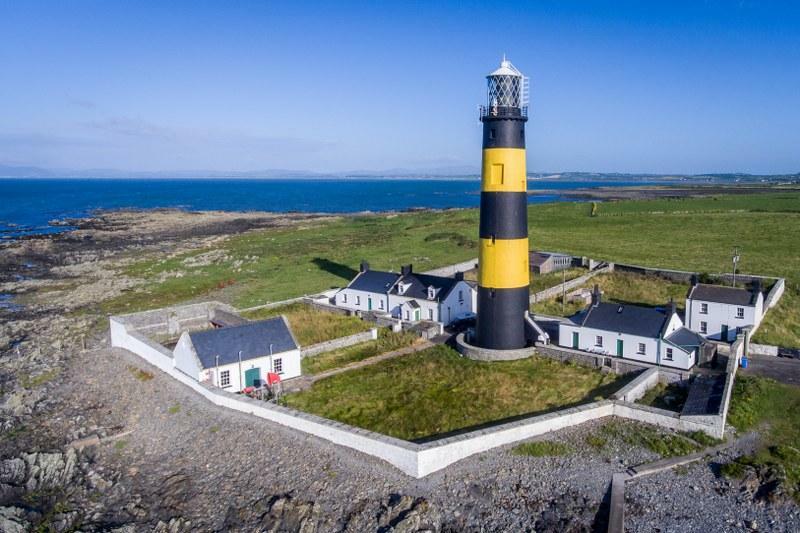 Other nearby places worth visiting include Murlough National Nature Reserve (overlooked by the Mourne Mountains and fringed by miles of beautiful beaches and sand dunes) and the Butterfly House and Seaforde Gardens at Downpatrick. The seaside resort of Newcastle is about 45 minutes and is a good option for kids who will love the sandy beach leisure centres. Grown-ups may prefer the Royal County Down Golf Club which is one of the oldest in Ireland with two 18-hole link courses. You can reach Belfast in just over an hour where you can head to the Titanic Experience, explore the wide selection of shops, visit the Ulster Museum or even take an open top bus tour round the city.